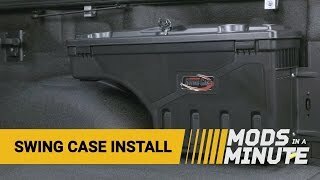 If you're looking for a way to keep your tools in your truck bed without losing any bed space, then the UnderCover Swing Case would be the perfect product for you. 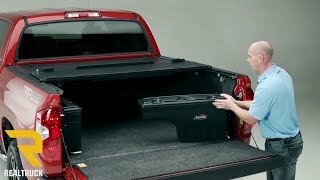 It can hold up to 75 lbs of cargo and stays folded up neatly inside of the bed against the wheel well, not taking away any precious cargo space. 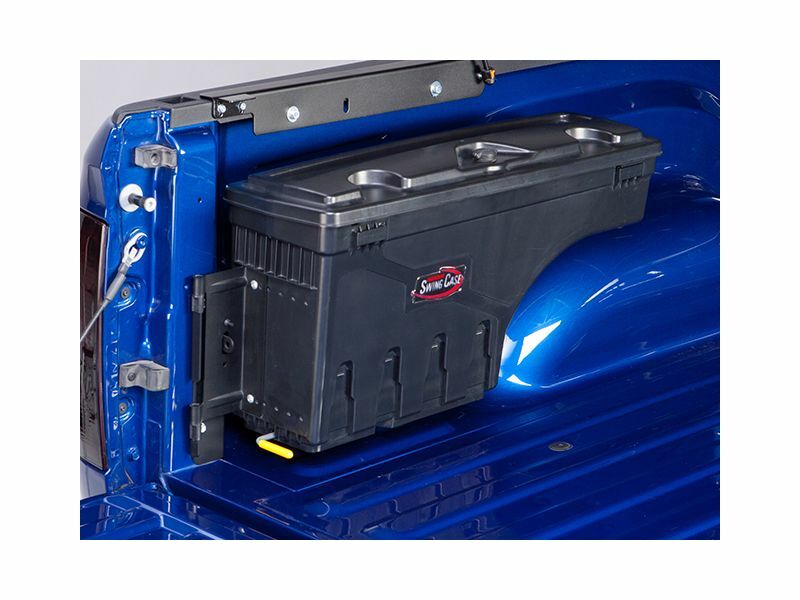 Whenever you need to use it, simply pull the latch and it pivots 180 degrees to provide you with instant access. 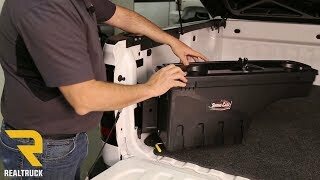 For those of you who need to take it on the job with you, you'll be glad to know that it can be disconnected in a matter of seconds! Give us a call to make sure you get the right case for your truck. Our staff is trained by UnderCover to give you the best and most accurate information possible. 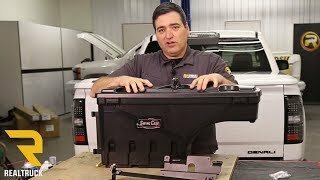 The Swing Case will not work with the following tonneau covers: Downey Quick Flip, Extang Solid Fold, Extang Trifecta, Lund Genesis, and Advantage Kwik Draw.